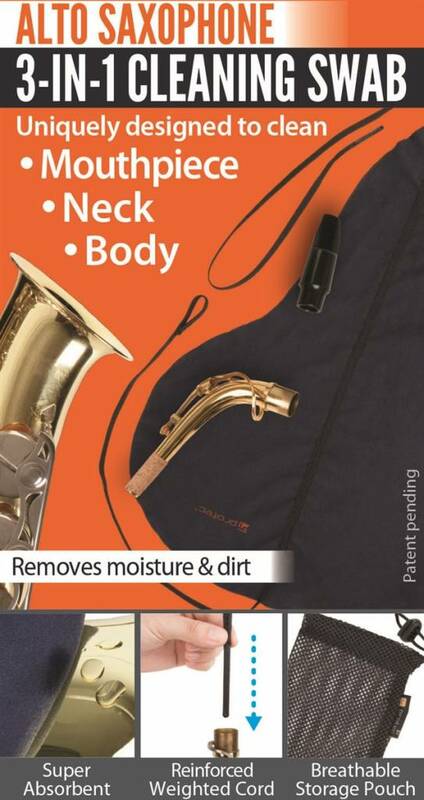 Protec swabs help prevent corrosion and pad damage by removing harmful moisture and dirt inside your horn. 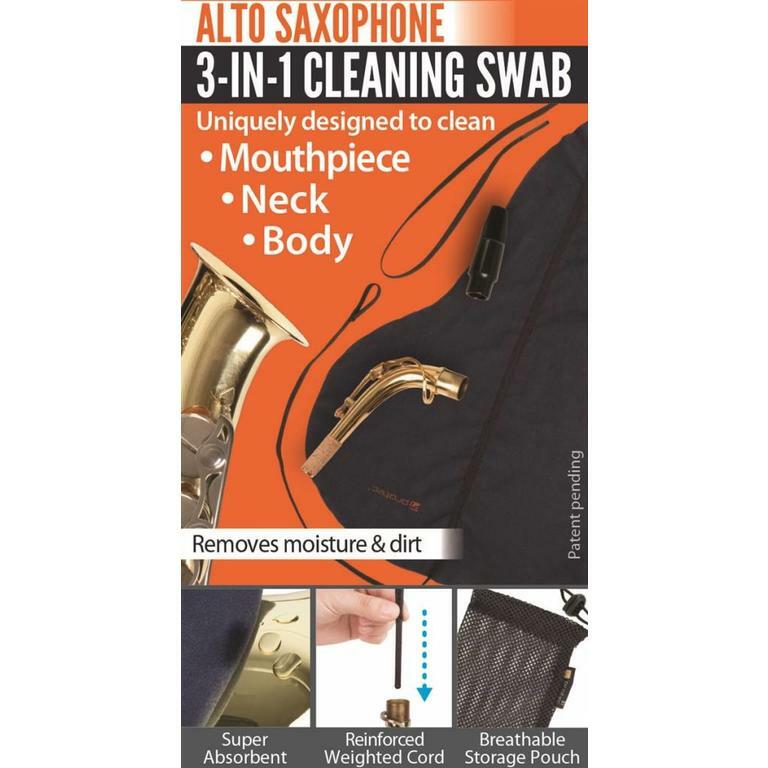 The 3-IN-1 cleaning swab is uniquely designed to clean the horn’s mouthpiece, neck, and body. The top of the swab features a non-abrasive weighted cord to safely pass through the horn part. The back end cord allows you to thoroughly clean in a flossing manner. The included storage pouch is made of breathable mesh and features a draw string closure.